Many people will be familiar with the story of Tim Ogle. 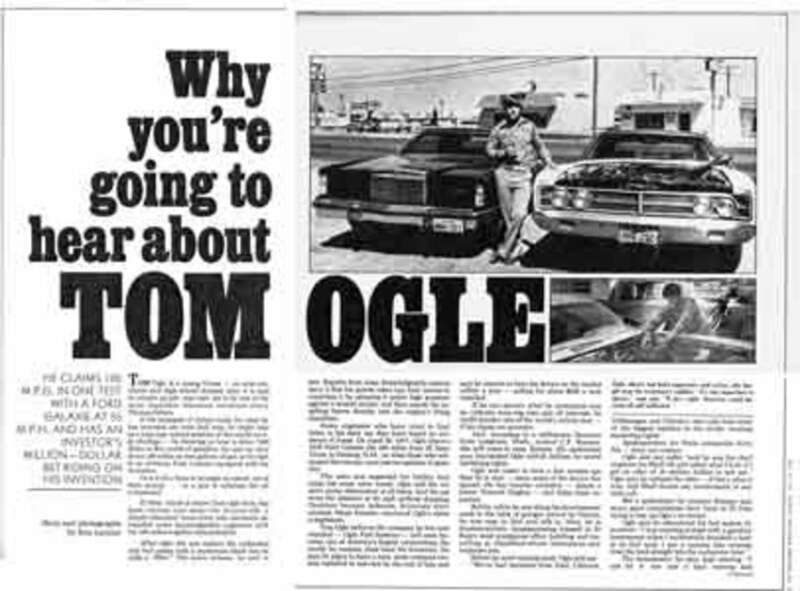 Ogle invented a device in 1977 that could go on any car and provide the owner with an automobile that could get 100 miles per gallon with zero carbon emissions. Now that, is revolutionary and it makes me wonder why no one actually ever went on to develop his product, but I think we all know the ultimate reason, don’t we? In any case, I ran across this story from Jay Syrmopoulos at The Free Thought Projectand thought I would share it with you because I think it is that important. If we could develop this now on a large scale, using the internet and people could put these on their cars, not only would they save big money at the gas pump, but they could shut the mouths of the Communists, globalists and maniacal Greenies that want to tax our carbon footprints. Without further ado, here’s Jay’s piece titled Inventor Mysteriously Dies After Creating Device That Lets Any Car Get 100 Miles Per Gallon.